The company is a joint venture between OMYA, the world leader in ground calcium carbonate production, and Bleeck Management, Inc., a family-owned business, which has been in the calcium carbonate business since 1850. Combined, this experience provides our customers with technically advanced products, competent technical service and advice, and the resolve to help find the answers to their current and future problems. For more than 25 years, CRC has serviced Pacific Northwest industries with ground calcium carbonate pigments and products. We are committed to serving our customers by providing products of the highest quality combined with responsive technical support and service. This customer-focused business model has been paramount to our success. Locally, CRC has locations in Wauconda and Tonasket WA, extracting calcium carbonate for worldwide distribution. 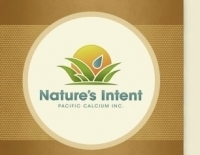 Nature’s Intent organic fertilizer products provide various plant nutrients healthy soil needs, including the king of nutrients – calcium – and it provides them from natural sources. The goal of Nature’s Intent is to improve soil health, producing healthier plants, just as nature intended. Unlike traditional chemical fertilizers, Nature’s Intent organic fertilizer products replenish both depleted structural and nutrient soil content – including microbial nutrients – providing a rich soil environment that mimics nature, not supplants it. The Nature’s Intent organic fertilizer product line offers a variety of formulations suitable to specific residential, agricultural and commercial soil needs. With years of product testing and outstanding results, the product line is based on a philosophy of complete soil restoration at competitive prices, in easy-to-apply formulations. A solid business with a 25-year operating history, and acquired by Paxton International Resources Ltd. in August 1997, Pacific Calcium, Inc. operates limestone and dolomite quarries and a manufacturing facility in North Central Washington near the Canadian border. We sell our products through a well-established network of major distributors throughout the Pacific Northwest, including Washington, Oregon, Idaho, Alaska, Hawaii and British Columbia. Lee Frank Mercantile has been serving the Okanogan County and the surrounding area since 1920. We are proud to offer you a complete line of hardware, farm and ranch supplies, and equipment rental. Our affiliate business, Scholz Sporting Goods and Appliances is located two doors north of our main store and offers Quadrafire heating stoves, kitchen appliances, clothing, and sporting goods. Stop in and check us out. If we don't have it, we can probably order it for you. Activities:Sunday- Breakfast at 9 am. Tuesday- Karaoke at 8:30 pm. Kids and adults Friday- Kitchen open 5:30 pm. Bingo at 7 pm. Saturday- Karaoke at 9 pm. I have designed my practice to provide high quality planning and transactions, and aggressive negotiation and litigation representation to a small case load of clients who desire the enhanced accessibility and attention of an independent attorney. I am a fourth generation Okanogan County resident. Planning, Transactions and Litigation in the fields of Real Estate, Business and Commercial Law, Trusts and Estates. Thirty-five years of continuous, private sector experience. Superior Auto Parts has been proudly serving you since the early 1980's, providing quality auto parts to local customers and businesses. We carry Interstate Batteries, Wix Filters, Federated Auto Parts, Dayco Belts, and a vast amount of knowledge about your vehicle needs. Our recent store renovations make it even easier for you to find the right part quickly and our expanding inventory makes your repair and improvement project get finished on time! We also supply local repair shops with parts upon request, so make sure you ask to get your parts locally from Superior Auto Parts! We also support many local functions and activities and truly value our neighbors and customers. Thank you for your continued support! 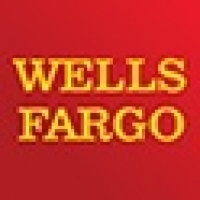 Our vision at Wells Fargo: We want to satisfy all our customers’ financial needs and help them succeed financially. You’ll be greeted with a tranquil, serene, peaceful environment with soothing colors, comforting linens, a beautiful rock garden and a cozy fireside treatment room. All guaranteed to instantly help you to forget the worries and stress outside. Owner and operator Renee Bretz has made it her commitment to provide the nurturing environment and professional care you deserve. Your experience will enhance your journey towards healing the body and soul for a Healthy, Relaxed, Balanced life. With stores located in both Tonasket and Oroville, we have been providing only the finest building materials for your building or remodeling project. 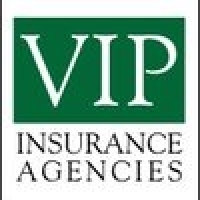 We have been serving the Okanogan Valley for over 50 years. We have a great staff ready to assist you in just about any home or construction project. * Lodging in 10 nice secluded furnished cabins along the edge of the tree line with great views! High speed Internet. * Motorcycle accessible. See web site for details & specials. * Horseback Trail Rides for small groups tailored to the interests of each group. * Catering available for groups of 12 or more in our beautiful Lodge. Consider us for your next retreat, small wedding, reunion, memorial or meeting! * Horse Hotel (10 corrals) Mules, Llamas, Alpacas and Donkeys welcome too. * TRAILS - Miles of multi-use (underutilized) for Hiking, Horses, ATV, mountain biking & in winter snowshoe, snowmobile & cross country skiing! * Child Friendly. Enormous Sand Pile with big toys, Basketball pad and hoop. Easy Trails. Campfire. * Trained dogs welcome in five Cabins. Five Cabins pet-free. Dog & Horse Heaven! 20 miles from Tonasket via Havillah-Tonasket Road to Dry Gulch Ext. See website. Shannon's Café and Deli has been satisfying hunger and bringing a unique flavor to Tonasket since 1986. We always have an ice cream selection to satisfy a sweet tooth, and can also make you a custom milkshake! Our Deli Sandwiches are second to none, made fresh on order. We also have a selection of gourmet hamburgers. Our Steak nights on Wednesdays and Saturdays are renowned and our Spaghetti Dinner on Thursdays and Prime Rib Dinner on Friday is very popular. Our breakfast specials are also ready to satisfy in the mornings! Our variety of soups are great, and if you need an espresso, mocha, or latte, we are ready to serve you. We also have a beer and wine selection for additional dining options. Our Indoor dining is available year round, and in spring through fall we offer Outdoor dining on the deck, where you can enjoy a spot in the sun or underneath the beautiful canopy of a 90 plus year old Catalpa tree. We also offer to go options. We do not serve fast food, we serve fabulous food as fast as we can! We pride ourselves on great customer service and we are looking forward to serving you! When you are looking for home cooking appeal and you also want to impress not only yourself but other guests, we are the place for you! Thank you for your business! Complete Restorations, Tonasket, Washington. Complete Restorations (a DBA of George Conkle, LLC) is a locally owned & operated remediation and construction. 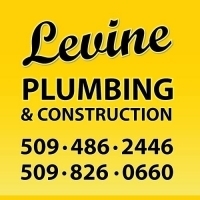 Levine Plumbing and Construction Inc.
Levine Plumbing and Construction can assist you with all of your plumbing and construction needs. We take pride in our work! We appreciate our customers. We serve you as Journeyman Plumbers, with over 40 years experience. We pride ourselves by being drug free and smoke free technicians. We service commercial and residential plumbing and construction. Our vans are fully stocked for repairs 24 hours a day, 7 days a week. Overland Fence & Construction, LLC is a family-owned fencing company located in North Central Washington. Owners Seth and Kelly Buchert have taken many years of fence building experience and turned it into a business. Overland Fence can provide customers with quality professionalism and results you will be happy with for many years. board, decorative, post and rail. Want to do it yourself? Ask about renting our hydraulic wood post-driver to make it much simpler! 8D N State Frontage Rd. Sawyer and Sawyer Inc supports our local Chamber of Commerce and appreciates all of the volunteer organizations that help make Tonasket a great place to live! I'm Adam Swedberg, owner of Swedberg Contracting. I love the woods, and helping people find the best ways to manage their forestland in productive, sustainable ways. Because every piece of property has unique challenges, I believe in the benefits of a "walk and talk" - looking at your property first-hand and coming up with a personalized solution that's right for you. It's time to put some expert eyes on your trees. Schedule a site visit today. We specialize in unique personalized products. Whether it be a photo mug with your favorite picture, an engraved award, company logo, a special gift for someone, a zipper replaced in your favorite jacket, hem put in a pair of slacks, a patch job to salvage something or a memorial stone for your loved one we will make it to suit you. If you have an idea call us, chances are we can help. New Patients Welcome. All your needs met at one place! Orthodontics, Crowns, Bridges, Dentures, Partials, Cosmetric Dentistry, Oral Surgery, Root Canals, Restorative, Whitening Systems. Walk-ins are welcome at both locations. Dr. Jim Helleson, Dr. Paul Lacey, Dr. David Stangland, Dr. Heather Stortz, and Dr. Douglas Wilson are partners with Wenatchee Valley Medical Center and have been providing excellent medical care for patients, and enjoying being very involved in this great community. Robert Johansen, PA-C, operates the Anti-Coagulation Clinic in Tonasket, and Nancy Thompson, PA-C, is available in Oroville branch for family medicine and Anti-Coagulation Therapy. If you are looking for a practitioner, new to the area, or just vacationing and need medical care...we are here for you. Family Health Clinic in Tonasket provides a full range of high quality health care services. From treating immediate health issues to ongoing care for chronic or multiple conditions, from preventative care and screening exams to follow up care; visit us today for all of your health care needs. It is our mission to provide outstanding care, both professional and compassionate, with community trust. We offer the following services; Nutritional, Respiratory Care, Laboratory, Emergency, 2 Family Practice Clinics, VA Clinic, Imaging (MRI, CT, ultrasound, etc), Assisted Living, Extended Care, Obstetrical, Rehabilitation (Physical Therapy, Occupational Therapy, Speech Therapy, & Massage Therapy), Pain Clinic, General Surgery, Podiatry Surgery, & Orthopedic Surgery. Support your local hospital, and receive high quality care in a rural setting. We even have physicians from metropolitan hospital's providing care in our Emergency Department. We are your one stop shop for Videos on DVD and Blu-ray, custom made signs, and Vehicle Licensing needs. We even still have VHS movies that are next to impossible to find. We can custom design and create signs for your advertisement needs. Customer service is our priority. We also service your Vehicle Licensing needs being available 5 days a week (Mon - Friday 9:00 am - 5:00 pm). Make sure and choose us when filling out your online vehicle tab and plate renewals, and we will have them ready for you quickly and effieciently. Thank you for your continued support! CJ Cycle is a full service power sports shop in Tonasket, WA. We opened our doors in April, 2012. We service and repair all brands of motorcycles, ATVs, snowmobiles, and personal watercraft. We are currently in the construction phase of a new repair facility which will house our new K&L tire changer. We have very competitive pricing on all our services, accessories and parts for your bike, ATV, snowmobile, or personal watercraft. 48 N. State Frontage Rd. Maximus Fitness & Training Center, LLC. Owner Kelli Podkranic has over 20 years of floral design experience. With a flare for artistic and unique floral designs using fresh flowers and/or silk flowers, Kelli also caters to those who prefer the more traditional floral arrangements. Floral delivery is available locally and throughout the United States. Wild Rose's original river stone vases are created from large and small, cut, polished and drilled stones, These Stone Vases feature silk and fresh floral designs by Kelli, they are simple, life-like and elegant. At Wild Rose Floral Design you will find uncommon indoor tropical flowers and unusual and every day indoor house plants and succulents. Our Gift shop features, imported Belgian Chocolates, Specialty candy, and over 35 wonderful flavors of Salt Water Taffy. 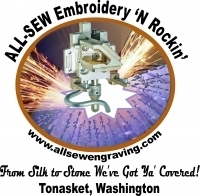 We also carry a nice selection of gifts for everyone; Folkmanis plush animal puppets, Majesty Bells wind chimes that are hand tuned to specific notes, natural gems and rocks, goodies for kids, jewelry and imported beaded and silk scarves for the ladies. You will find the perfect card to go with your flowers or gift with a selection of cards by Jody Bergsma, Local photography gift cards by Oroville photographer Tillie Porter and Tonasket photographer Terry Mills. Grace your walls with and photo prints by Tillie Porter and original watercolor paintings by East Wenatchee artist, Lila Putnam. Succulent Seafood Direct from the Pristine Waters of Alaska, available all year! Salmon: King, Sockeye, Coho, Canned and Smoked. 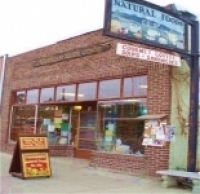 Tonasket Natural Foods Co-op, a member owned business, has been serving Okanogan County for well over 30 years. We are purveyors of all natural and organic groceries and supplements. We also feature fresh produce, frozen foods, and locally made products. Our deli provides freshly made soups, entrées, sandwiches, and baked goods as well as a lovely Garden Room for seating. The Co-op also has Wi-Fi for your convenience. The Co-op has long been a community meeting and gathering spot. This is the place to be to find out what's going on in the area. The Co-op has recently been featured in the independent documentary film "Back to the Garden" which is currently entered in the Seattle Film Festival. The film maker's journey depicted had its roots at the Co-op many years ago. When you are traveling in our area stop in and enjoy the "best all natural lunch in town" The Co-op strives to feature locally made products and fresh local produce in season. We also have bulk foods and many unique and hard to find items. Welcome! Customers can get a discount on their Cardlock purchases for paying with automatic withdrawals from their bank account, we offer daily, weekly, twice a month, and monthly for different discounts. That information is on the credit application for CFN/Fleetwide. Coleman Oil is dedicated to you; our ultimate vision and goal is to provide unsurpassed customer assistance, support, and the capability of being your one source supplier. 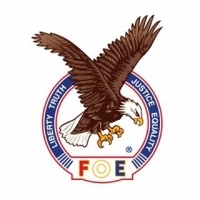 We offer the full line of petroleum based services: Quality Chevron Lubricants, Bulk/Transport on branded and unbranded fuel deliveries, CFN /Fleet Card Program that includes over 40,000 fueling locations nationally, On-Site Fueling and Alternative Fuels (including, ethanol blends, bio diesel and racing fuels). Our customers have increased their business efficiency by relying on us to manage their fuel and lubricant needs. P.T. WORKS WITH THERAPEUTIC CONNECTIONS! P.T.WORKS is a therapist owned independent out-patient Physical Therapist clinic in a peaceful setting just south of Tonasket. Diane MacFarland, P.T. brings over 40 years EXPERIENCE, in a variety of health care settings, to the practice. The clinic offers PARTNERSHIP with you in achieving your goals of recovery from illness, injury, or in managing chronic pain. Problems concerning women and children are welcome. The one-on-one sessions, utilizing gentle yet profound MANUAL THERAPY TECHNIQUES, EXERCISE PROGRAMS, and a variety of other approaches to IMPROVE BODY AWARENESS, hold the intention of assisting you toward optimum health. What's offered here is PHYSICAL THERAPY with THERAPEUTIC CONNECTIONS! I embrace Nikken's mission to inspire people to discover a new way of life through the Nikken Philosophy of a healthy body, mind, family, society, and finances; and to provide them the means to live it by creating Wellness Homes around the world. Dedicated to helping others with amazing life changing products that. Stable, Debt Free 39 yoa Company that R&D's the BEST products to bring to you and your families! A company that is on the front lines of fighting Toxins in our environment One Wellness Home at a Time; A company that is dedicated to children by their partnership with Healthy Child Healthy World; A company that is dedicated to helping people be nurtured and be all that they choose to be; and dedicated to helping people change their financial health. If you suspect a child may be a victim of sexual abuse contact the police, CPS or The Support Center as soon as possible. This is the first step to ensure the child's safety. Riverview Mobile Home and RV Park offers full hookup RV spots that are year round, daily, weekly, and monthly rates are available. The park is known for offering a quiet environment that is bordered by Bonaparte Creek and the Okanogan River with shaded spots with a lot of large shade trees. Please call for current rates and availability of spots, and make your reservations when you are in the area. We are competitively priced and look forward to meeting your needs. Kris West and her daughter in-law Amanda West have opened their new shop, West Family Homestead in Tonasket. The store features several products made from goat’s milk.Using the goat’s milk to make products such as soaps, lotions and other great products. Goat’s milk products are very beneficial and not harsh on the skin. Their line of products consists of many different scents, along with diverse products other than just soaps and lotions. Buena Vista was established in 2008 in a historic home in Northern Okanogan County. 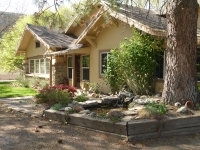 Located above the beautiful Okanogan River, this 1923 home offers lovely, timeless accomodations. Buena Vista Lodging is an ideal location for your next event. Along with a warm, inviting environment, Buena Vista is here to see that you have a wonderful stay and leave with a happy belly. This magnificent home is rich with inspiration! Come enjoy the beautiful views of each season, then step inside to the sweet aroma of our scratch bakery. Our high quaility baked goods are made with locally sourced ingredients. Delicious to the core. Come discover Oroville hospitality at it's finest! We will not rest until you do! Canaan Guest Ranch is located between the towns of Tonasket and Republic, in an area called Aeneas Valley. Canaan Ranch sits at an elevation of 3500 ft., and covers 500 acres. Come and visit, enjoy the beauty of the mountains and share our life style. Wildlife viewing and birding is at its best at Canaan Ranch deer, eagles, wild turkeys, coyotes, and bobcats are frequent visitors. 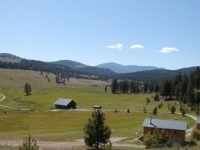 Enjoy the many activities on the ranch including horseback riding, hay-rides, barn dances, hiking back-packing, snowmobile access to snow park and 1000s of acres to ride in the adjoining Okanogan National Forest, 500 separate acres for cross country skiing. A perfect place to get away from it all, Winter, Spring, Summer or Fall! Sonora Point is a full-ownership RV vacation resort with resort style amenities spread over eight acres on the shores of Spectacle Lake. When complete, Sonora Point Resort will include 49 full-ownership RV sites. Spectacle Lake Resort is in the wonderful, diverse recreation land of the Okanogan in North Central Washington, just 25 miles from the Canadian border. Exceptional fishing in one of the State's best Rainbow Trout lakes is just one of the activities our guests enjoy. Popular activities also include water skiing, swimming, wind surfing, and just plain relaxing. Golfing nearby too. We have great deer, bear, cougar, grouse and other bird hunting in the fall! Our waterfront motel has cabin-like rooms and luxery suites with two or three bedrooms. All are fully equipped. Our full hook-up campground accomidates RV's and tents. Amenities for all our valued guests include a heated outdoor pool, docks, horseshoe pits, volleyball, play areas, swimming, swings, sandbox, boat launch, boat and motor rentals, recreation room, cookout shelters and a small convenience store. The RV Park offers 8 full hook-ups (30/50 AMP) in the Summer months and a dump station. We also have a nice yard that can be used for tenting. It is with in walking distance to most restaurants and Beyer's Market Grocery Store. 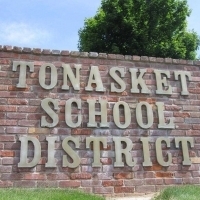 Tonasket is located in the "many lakes recreation area" and has fishing, hunting, hiking and other activities year round. We do not take reservations. Spots are available on a first come first serve basis. For questions about the RV Park you can call Julie at 509-486-1096 or 509-429-2799. Similkameen News Leader is one of only a handful of independently-owned and operated weekly community newspapers left in British Columbia. Our editorial focus is 100 percent on the people and activities of the Similkameen Valley. Advertising is affordable in the Similkameen News Leader! Classified Ads (25 words or less) cost only $9.00 per week (including tax) and if you pre-pay for two weeks, you get the third week FREE! All Classified Ads are pre-paid and we accept MasterCard or Visa payments over the phone. Display Ad Rates start at $36.00 + tax per week for a Business Card sized Ad (4 inches wide x 2 inches tall). Call Brenda to find out more! Owned and operated by Bengel Publishing Inc. (W. George Elliott, Company President) since 2004. "The preferred news source for Tonasket's Sister City, Princeton BC!" 416 1/2 S. Whitcomb Ave.
Fall Faire in October - Date to be announced by August. We have a wonderful Spring Work PARTY, in April to repair the Site. See you at the work party & the Faire. Tonasket Garden Club. For all who enjoy gardening. 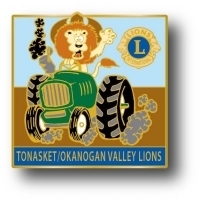 The Tonasket/Okanogan Valley Lions is a service club with a motto of "We Serve". We serve our neighbors, family, and friends by participating in local events, raising money for vision and sight, and supporting the Lions of 19-D2 and the International Lions clubs. We will be always grateful for the support we have received from our Guiding Lions from Wenatchee and Leavenworth for kicking us off and strengthening our club. They drive over 2 hours just to come to our meetings!!! We are ALWAYS recruiting new members, feel free to ask us how to become one! names of living veterans as well as those who are deceased. From Oroville travel 12 miles east on Chesaw Rd. Turn right on Havillah-Tonasket Rd. There is ample parking on both sides of the highway. From Tonasket travel 20 miles NE on Havillah Rd. SKI FOR LESS IN THE SUNNY OKANOGAN! Telemark/Cross Country/Snowboard/Alpine skiing is all available for you. Water Ranch is free to the public and open daily from 10 a.m. to 8 p.m. Its a splash! The park is bounded on the east by the Cascade-Columbia Railroad tracks, on the west by the Okanogan River with approximately 2,000 feet of shoreline and on the south by undeveloped private property reserved as a wildlife area. This 22 acre site was originally developed with volunteer labor and donated money, materials and equipment to include two small soccer fields for youth play, two regulation soccer fields, 1 softball field, 1 little league baseball field and two parking areas. The two regulation soccer fields partially overlap the baseball fields, which restricts simultaneous use. The majority of the site is planted with grass and as of 1994 the park is irrigated with an automated underground sprinkler system installed by the City. Access to the park is via Railroad Avenue. A boat launch, picnic shelter, picnic tables, restrooms, parking lots and a riverfront trail were added along the shoreline portion of the park in 1993 and 1994 with the assistance of matching funds provided by the Washington Department of Natural Resources Aquatic Lands Enhancement Account. In 1994, a local resident and retired business person, John Figenshow, donated to the City several acres of riverfront property to the south of the park that is recognized as having significant habitat value by the Washington Department of Fish and Wildlife and the U.S. Fish and Wildlife Service. It is also the site of a Bureau of Reclamation fishery mitigation site. Presently, activities that cause this park to be in high demand include: soccer, river walks, baseball, a BMX track, a Skate Park, fishing, river floating, picnicking, wildlife observation and general relaxation. 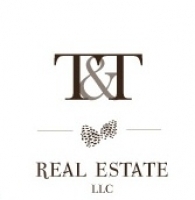 We are here to assist you with your real estate needs! Whether you are looking for a vacation property, a place to raise your family, or somewhere to retire, we will be glad to assist you in finding just the right property in the beautiful Okanogan Valley. Please visit our website for current listings, area information, and market information. We are members of the NWMLS and work with all of the area offices, so even if we don't have it listed, we can help you find what you're looking for! 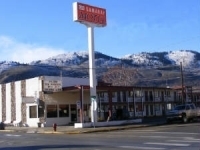 Visit our blog at http://okanoganvalley.blogspot.com, and follow us on Facebook! 415 B S. Whitcomb Ave.
Upper/Okanogan Valley Disposal provides waste and refuse disposal services to the North Okanogan County area. We offer services from one can pickup to 10 yard construction dumpsters. Contact us for more inquiries. •Advanced Charter TV® video entertainment programming includes hundreds of HD channels, DVR service and a choice of more than 10,000 video-on-demand movies and shows 24/7. Customers can take video throughout the house – and even outside the home – with on the go content on laptops and mobile devices. •Charter Internet®, with speed 10 times faster than DSL, offers download speeds up to 30 Mbps to simultaneously stream videos, download music, upload photos, and more without sacrificing Internet performance. Charter WiFi assures superior speed ranges to do more on more devices. •With more than two-million telephone customers, Charter is the ninth largest provider of residential phone service in the nation. Charter Business® provides scalable, tailored, and cost-effective broadband communications solutions to business organizations, such as business-to-business Internet access, data networking, business telephone, video and music entertainment services, and wireless backhaul. Charter Media® offers targeted, integrated advertising and promotional solutions for advertisers through national cable networks, Internet advertising, mobile marketing and events supported by marketing, research and award-winning creative services. TwoRebels Hosting is an exceptional web hosting company. We have years of experience with web sites of all sizes and have built up a degree of web hosting expertise that lets us cater to your individual needs. 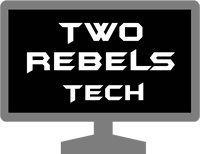 TwoRebels Hosting is a company that you can rely on for all of your Web Site Hosting needs. With quick access to support and a money back guarantee there is no reason not to sign up today!